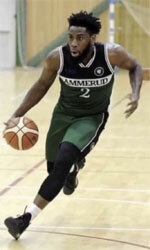 Al Shurtah Police (IBL) agreed terms with 24-year old international guard Hassan Abdullah (190-94). He has played for the last two seasons at Al Kahraba. 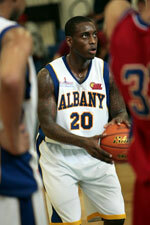 Quite impressive season as he was named to Asia-Basket.com All-Iraqi League 2nd Team and All-Domestic Players Team. Abdullah's team made it to the League Semifinals in 2015. He has been also a member of Iraqi international program for some years. Abdullah has regularly played for Iraqi senior team since 2013 and previously for U18 National Team back in 2010. He represented Iraq at the FIBA Asia Challenge in Tehran (Iran) two years ago. Abdullah's team got to the Semifinals and his stats at that event were 8 games: 2.3ppg, 1.8rpg.